The Nordstrom Tower may not become the overall tallest building to ever rise NYC, besting One World Trade Center as previously reported and then rebuffed, but new filings unearthed by NY Yimby show that the supertall will still carry a very worthy, head-craning title. 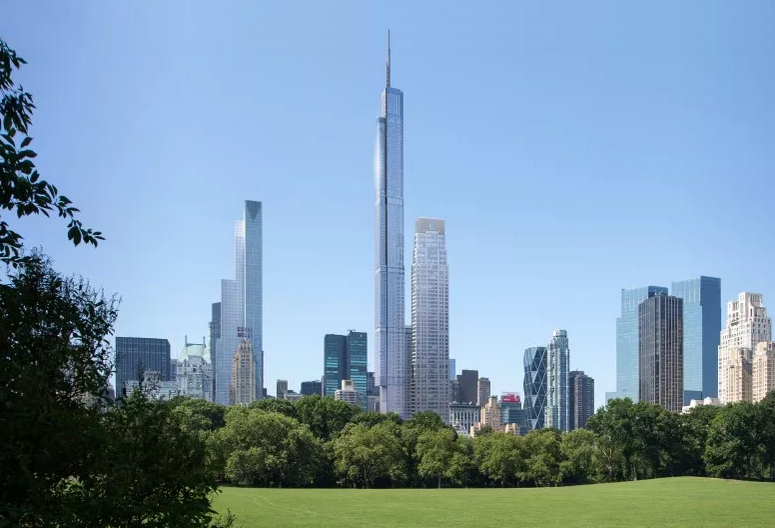 Documents show that the 95-story building will become not only the tallest building by roof height in NYC, but also in the country at 1,522.83 feet. To put that into perspective, once complete, the building would not only surpass One WTC’s 1,368 foot roof, but also 432 Park, the city’s current title holder at 1,396 feet, and the country’s current record holder, Chicago’s Willis Tower, which tops out at 1,451 feet sans its spires. Confirmation on the Nordstrom Tower’s total height has yet to be revealed by Extell, but last month the company’s head honcho Gary Barnett made clear that the supertall would “categorically not be taller than One World Trade Center” out of respect for the 9/11 tower’s symbolic height. Yimby notes that additional height adjustments to the roof and spire may still happen, but whether or not they do, the fact remains that the Nordstrom Tower is out to transform the skyline.